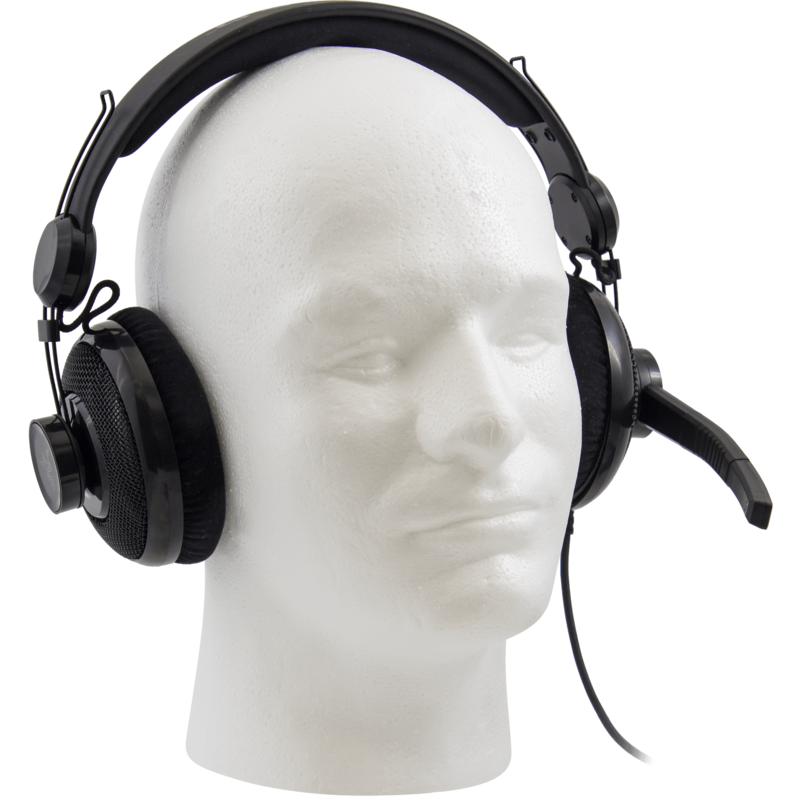 Also you guys sent me a set of Call of Duty headphones in a previous fuku that seem to connect exactly like these ones and I am about to finally have to resort to them seeing as my current Steelseries headset is starting to not be stereo all the time THANKS! @sp3ar Did you get the steel series from here? I did and am having the same issue with mine. Isolated it to the extender cord for the two jacks that went bad. The headset works but the regular cable isn't nearly long enough to be useful. @thismyusername Now that Colbert has a Grown Up job, I wonder if his voice work has truly retired. @one_two3456 I hold out hope they will make some new Harveys... his departure for the CR is always blamed for its' ending so soon. Did you see the wacky cable access show he did as promotion? It is here if you are bored (the last segment is the best). I bought these a long long time ago. I actually really like them because the cups are overear and comfy. The mic got really loose for me though and wouldnt stay up. @echo65 What new model of controller? @orbus the new xbone controller they showed at e3 this year. May as well. In for 1 because they'd work for backup headphones. Wires? Cables? What are those? Will these work right with a PS3? The kids go through a couple of headsets a month. @2many2no Fairly certain they would work. @rjolly87 After I got a chance to do more research, I figured it was more difficult to do this than I thought it was worth, especially since it's not my PS3. My son just asked me for one of these yesterday!! No USB port on my lawnmower, sorry. Meh. Perfect! I need a new headset. For $10, deal! I have a pair of these from a few years back, but they don't have a USB plug, only the audio jacks. Do these need the power from the USB in addition to the audio signal to work? Yeah, I'm good. Don't game and my kids won't let me not listen to them, so meh. I kind of want to get these for my sister-in-law because she was just telling me that she needs headphones with a mic to play some game she likes (can't remember the name). But I kind of want to save it for Christmas and she will probably buy a pair for herself before then. I could be nice and give them to her early, but then I'll have to buy something else for her for Christmas. @christinerenee Just tell her it is Christmas in July and with the Obama economy you might not have a job in December so you wanted to make sure she was taken care of. wait.. so.. you have to plug in the USB and the audio cables? it's not either/or ? From what I gather on the interwebbs, this unit uses 3.5mm for audio, another 3.5mm for mic, and USB for power. No idea if the power only makes things better, or if it's needed to make it work. I finally decided to pull the trigger and buy these because I am still paying for the vmp thing, so free shipping! Then I really thought about the logic behind that and that I haven't bought something from here for months, yet I still probably won't cancel my vmp membership. Congratulations, Meh!, you got me. What a feast this deal is. Need a pair that will hook up to ps3 painlessly. But, meh, Can you and I sell foam heads here some night? We could do them free with just the $5 shipping. Maybe we could sell an 'official meh' foam head, with a 'meh' stamp, and a "collectors" meh head that has real emeralds for eyes! Yeah! See, the copy on that would practically right itself. @wew Can we start with this one? Not foam, but scary. @ChunkyBitz That one is really creeping me out. I've had the non USB version of these for years, and loved them. I only recently replaced them with the tiamut headset that meh sold a while back. For $10 though, everyone that doesn't already have something better should definitely jump on these immediately. I literally said to myself yesterday "Buy the next headphones you see for less than $20". See, suckers? I would've gone higher. In for one. @mills I literally said the same thing so I decided to buy two. wow sold out! gratz meh! with little time to spare well done! just got my pair in today. USB is def. required, and yep, my laptop causes hissing noise in the background. gonna try it on my desktop later on. I'm wondering if i could pop open the volume remote and just rewire the thing to not need USB power. Not sure if the little black box is actually an amplifier for the headset or just audio enhancement circuit. Received my pair today. It passed the first test: it fit over my ginormous noggin with room to spare. The fabric covered ear cups fit well around my ears and felt comfortable. There are brightly illuminated Razer logos on the ear cups that will illuminate the room. A couple pieces of gaffer tape or duct tape should fix that. The cable however is a bit short. It is not as long as the cable on my Turtle Beach headset. It would be fine for PC use, but I would need a 3'+ extension to comfortably reach across the living room to the Xbox. I am no audiophile but it does not sound like my Turtle Beach headset. It has lots of bass, but the mid and high seems to be weak. If Meh sells them again for ten bucks, I would say buy yourself a pair. Of course mine doesn't work!!! Can I send it back and get a new one? Try my luck with Razer and see if they will take it? Everything is plugged into my PC and no lights turn on and there is no audio. @npsantini 90 day warranty through Meh ..contact support though halp@meh.com .. Or through your order, there is a link for help .. Or the ? At the top of the forums has a link to support.. They are awesome! @mikibell I contacted meh and sure enough they helped me out and were awesome. @npsantini so glad they were able to help you! I got around to trying my two pairs out and they are pretty bad. Pros: they are comfortable on my giant head and the cord is quite long. Cons: The noise is bad. I tried every usb port on my desk top and two different external USB power blocks. Using USB to power an amp is a terrible idea. If I turn down the volume to deal with the static, it also turns down the mic and no one can hear me. This is another bad design decision. I have to question how no one at Razer noticed this before these were released. The headset doesn't work through USB on pc. It requires you plug in the mic and headphones and usb jack, ALL 3! Anyways, I'm just going to throw them away as I hardly feel they are worth returning, then some other poor sap will get the chance to waste 4 hours updating drivers, firmware and BIOS on 2 PC's before realizing USB is for Power only. Honestly, I don't even want the money back. You have to pay to learn some lessons I suppose. I'm just glad I didn't rage-smash my rig trying to make this function. Well meh, I just thought you should know that those headphones are beyond MEH, they are garbage, and the listing really should have said they required all the connections for PC. That part is on you. Dicks. 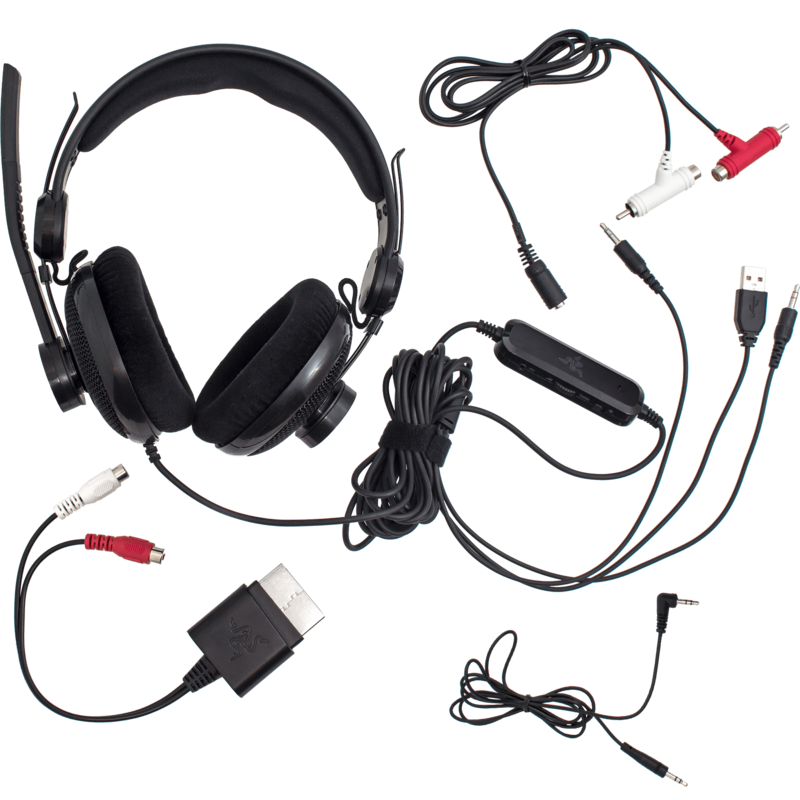 @CptPicard Sorry you had a bad experience with these but we mentioned multiple times that they're USB powered and require USB in addition to Audio Out and Microphone in so…we're not dicks (in this specific case). "the official Razer Carcharias FAQ confirms that this USB-powered headset can suffer from interference when used with insufficiently shielded USB ports, especially the front-facing USB ports on many low-end PCs." I think this one is on you.